Fresh out of the academy and commanding his first assignment, Dran has to think about making his men happy, performing his duty and impregnating as many women as possible, all while thinking about the wife he never met. As he stands on the hills above the settlement he is about to conquer, thinking about the uncertainty of the future, Joana, his long-time friend, and the only woman he slept with slowly approaches. A story about what happens when perfect plans fail. 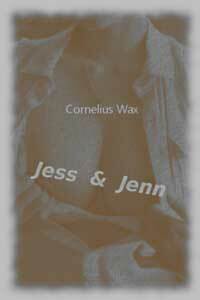 Jessica, a geography professor, and Jennifer, a volleyball player, think they have it all under control. Well, they don't. As their students and teammates invade their crevices, they realize there is still a lot to learn about how men's minds work.